U.S stocks fell and Treasuries rose after the Federal Reserve signaled it’ll keep raising interest rates even as inflation remains tepid. The S&P 500 fell 0.3 percent, with the bulk of losses coming in the final 20 minutes of trading. Equities earlier gained after the central bank suggested inflation remained tepid, only to reverse as Chairman Jerome Powell said the Fed could raise rates past the perceived neutral level. He also raised concern about fiscal policy, calling its path “unsustainable.” The dollar was little changed after swinging between small gains and losses. Powell addressed financial markets directly in his comments, saying that officials “judged the overall vulnerabilities to be moderate” while acknowledging some asset prices are in the “upper reach of their historical ranges.” American equities closed Friday at a record, while the 10-year yield rose to near its highest of the year. Oil prices hit a four-year high before pulling back. The Fed’s statement provided ammunition for hawks and doves alike as investors parsed the language for clues on monetary policy. The Dow Jones Industrial Average lost 0.40%. The best performers of the session on the Dow Jones Industrial Average were International Business Machines, which rose 1.81% or 2.70 points to trade at 151.61 at the close. Meanwhile, Walt Disney Company added 1.39% or 1.58 points to end at 115.21 and Walgreens Boots Alliance Inc. was up 1.04% or 0.75 points to 72.96 in late trade. 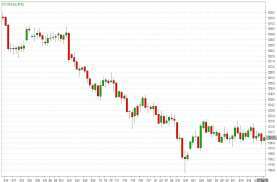 The worst performers of the session were American Express Company, which fell 1.69% or 1.86 points to trade at 108.01 at the close. Dow DuPont Inc. declined 1.56% or 1.06 points to end at 66.89 and Goldman Sachs Group Inc. was down 1.56% or 3.62 points to 228.88. The tech heavy NASDAQ index lost 0.21%. The top performers on the NASDAQ Composite were CDTi Advanced Materials Inc. which rose 47.37% to 2.8000, Sphere 3D Corp which was up 37.18% to settle at 0.380 and Aldeyra which gained 34.85% to close at 13.35. The worst performers were Jaguar Health Inc. which was down 36.90% to 1.060 in late trade, FlexShopper Inc. which lost 27.23% to settle at 0.851 and Ultra Petroleum Corp which was down 23.22% to 0.975 at the close. Oil prices eased yesterday after U.S data showed a surprise build in domestic crude inventories, but an impending drop in Iranian exports kept Brent futures above $80 a barrel and on track for a fifth straight quarterly gain. U.S. crude futures ended Wednesday’s session down 71 cents, or 1 percent, at $71.57 a barrel. U.S. crude inventories rose by 1.9 million barrels in the week to Sept. 21, according to U.S. Energy Information Administration (EIA) data. Analysts had expected a decrease of 1.3 million barrels. Refinery crude runs fell by 901,000 barrels per day, EIA data showed. Still, the oil market is bracing for a hit to global supplies from renewed U.S. sanctions on Iran. Brent remains on course for its fifth consecutive quarterly increase, the longest stretch since early 2007 when a six-quarter run led to a record-high price of $147.50 a barrel. We continue to expect that the decline in Iran exports will reach 1.4 million barrels per day. 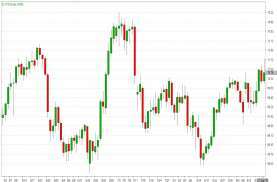 Gold prices rose today as investors looked for bargains after the metal fell to a two-week low in the previous session following a U.S interest rate hike and as limited gains in the dollar after the decision supported demand for the metal. Spot gold had risen 0.4 percent to $1,198.22 an ounce. On Wednesday, the metal touched its lowest since Sept. 11 at $1,190.13 an ounce. Spot gold prices have closed in a range between $1,210 and $1,190 an ounce since Aug. 28. U.S. gold futures were up 0.3 percent at $1,202.10 an ounce. As expected the U.S. Federal Reserve raised interest rates for the third time this year yesterday and left intact its plans to steadily tighten monetary policy, as it forecast that the U.S. economy would enjoy at least three more years of growth. The fact that the Fed didn’t come out as overly hawkish meant there was some positivity felt through emerging market currencies. This may be playing in gold being gingerly bought. Meanwhile, the dollar steadied against its peers as the small boost it received from the Fed interest rate hike faded, with a decline in U.S. Treasury yields reducing support for the greenback. The Fed statement did not have much of an impact on the dollar and so we would venture to guess that the greenback could resume a little lower over the course of the next week or two, possibly giving gold an element of support. However, there is little evidence that gold’s tight trading range will change anytime soon. Gold is sensitive to higher interest rates because they boost the dollar, making bullion more expensive for buyers using other currencies. Gold has fallen more than 12 percent since hitting a peak in April against a backdrop of trade disputes and as the rising U.S. interest rates have cut demand for non-interest bearing bullion. Meanwhile, China on Wednesday unveiled plans to cut tariffs for products including machinery, electrical equipment, and textile products beginning on Nov. 1, as the country braces for an escalating trade war with the United States. Silver rose 1.1 percent to $14.44 an ounce. 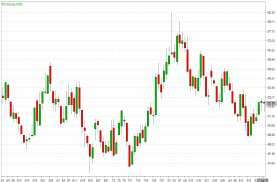 Soybeans are recovering after it fell last week to its lowest price in nearly 10 years. Bargain buying and a major sale of American soy to Mexico yesterday helped lift U.S soybean futures for the second day. The Federal Reserve raised interest rates for the third time this year by 25bp. The U.S dollar appreciated against all of the major currencies after the rate decision except for the Japanese Yen and Swiss Franc. The inconsistency in the Dollar’s performance is a sign of risk aversion. The Dow dropped more than 100 points today while 10-year yields fell nearly 5bp. The Fed’s rate hike should have driven Treasury yields higher especially after they said not much has changed since June, but the fact that it indicates that Chairman Powell failed to satisfy the bulls. Between the central bank’s economic projections, the dot plot and Powell’s comments on the economy, there’s no question that the Fed will continue to raise interest rates. Fed fund futures were unchanged after the rate decision with the market pricing in 77% chance of a follow-up move in December. Powell described the economy as strong and said he’s positive on growth. Investors were hoping for unambiguously hawkish comments from the Fed Chair and while he had a lot of good things to say, the mere mention of the possibility of rate cuts capped the rally. According to Powell, if inflation surprises to the upside, they could move faster but if the economy slows they would probably cut rates. They also oppose taking away more of their tools (in case there’s a need for them). While the risk of easing is minimal, because of these comments today’s move can’t be described as a hawkish hike (it wasn’t a dovish one either). Looking ahead, 113 could turn into a double top for USD/JPY. After consolidating for 4 consecutive trading sessions, EUR/USD is prime for a breakout. Although tomorrow’s ECB economic bulletin and Eurozone consumer confidence report are likely to be positive, we think EUR/USD is vulnerable to a correction. Shorter term charts show a strong rejection of 1.18 and if EUR/USD breaks below 1.1725, we could see a swift sell-off towards 1.1670. The single currency ended yesterday’s trading session lower as the dollar gained in choppy trading after the Federal Reserve raised U.S interest rates as expected for the eighth time, flagged more rate hikes and signaled the end of the “accommodative” policy era. The statement said the Fed still foresees another rate hike in December. 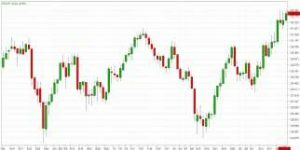 Overall, the EUR/USD traded with a low of 1.1724 and a high of 1.1796 before closing the day around 1.1737 in the New York session. 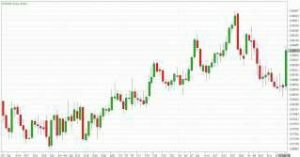 The Japanese Yen spiked higher shortly after the release of the U.S Fed interest rate decision in reaction to the central bank’s monetary policy statement and comments from Fed Chairman Jerome Powell. That move raised the most questions with some traders saying this likely means that the Fed no longer believes its policy is accommodative. Overall, the USD/JPY traded with a low of 112.61 and a high of 113.11 before closing the day around 112.70 in the U.S session. 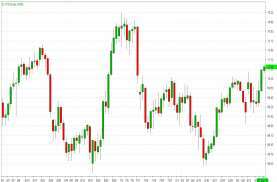 The British Pound slipped as investors remained cautious about negotiations between Britain and the EU on a Brexit deal and as broader currency markets waited for an expected Fed interest rate hike. With little in the way of big market-moving economic data in the near-term, domestic politics and sentiment around Brexit talks remain the driver for the pound. 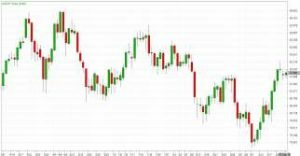 Overall, the GBP/USD traded with a low of 1.3136 and a high of 1.3215 before closing the day at 1.3164 in the New York session. The Canadian Dollar weakened to its lowest in more than a week against the greenback as the Fed hiked interest rates and investors worried that Canada would be left out of a trade deal with its NAFTA counterparts. Canadian Prime Minister Justin Trudeau shrugged off U.S pressure to quickly agree to a deal on the North American Free Trade Agreement. 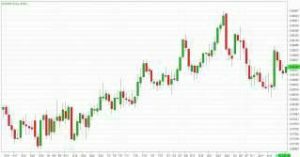 Overall, USD/CAD traded with a low of 1.2942 and a high of 1.3022 before closing the day at 1.3016 in the New York session. 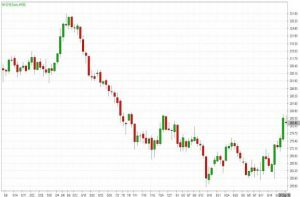 The Australian Dollar held firm ahead of what should be a well-flagged rise in US interest rates. The Australian Dollar traded slightly lower today in Asian session as ABS job vacancy data softened and Chinese industrial profits pulled back sharply. The US Federal Open Market Committee raised its interest rates yesterday. 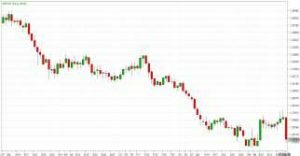 Overall, AUD/USD traded with a low of 0.7238 and a high of 0.7313 before closing the day at 0.7255 in the New York session. EUR/JPY is trading above 14, 50 and 100 days moving average. Fast stochastic is giving a bullish tone and MACD is also issuing a bullish stance. The Relative Strength Index is above 764 and lies above the neutral zone. In general, the pair has lost 0.44%. Currently, GBP/JPY is trading above 14, 50 and 100 days moving average. Fast stochastic is issuing a bullish tone and MACD is also indicating a bullish stance. The Relative Strength Index is above 61 reading and lies above the neutral zone. On the whole, the pair has lost 0.34%. Currently, the cross is trading above 14 and below 50, 100 days moving average. Fast stochastic is giving a bullish tone and MACD is also indicating a bullish stance. The Relative Strength Index is above 58 reading and lies above the neutral region. In general, the pair has lost 0.11%. This cross is currently trading above 14, 50 and 100 days moving average. Fast stochastic is indicating a bullish tone and MACD is also issuing a bullish signal. The Relative Strength Index is above 51 and lies above the neutral region. On the whole, the pair has lost 0.09%. This cross is trading below 14, 50 and 100 days moving average. Fast stochastic is issuing a bullish stance and MACD is also indicating a bullish tone. The Relative Strength Index is above 52 and lies above the neutral region. In general, the pair has lost 0.02%. 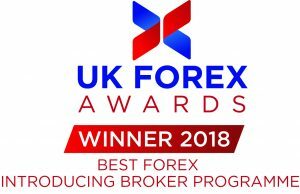 City Credit Capital (UK) is proud to announce that the company has won the award for the Best Forex Introducing Broker Programme at the prestigious 2018 UK FOREX Awards. The announcement was made on 26 September during the Gala Event Ceremony, held in London. It’s the seventh time that City Credit Capital (UK) has won an award at the UK FX Awards. In 2017 the company was recognized by winning the Best Customer Service award. City Credit Capital (UK) is proud of this prestigious endorsement as it is a testament to the hard work and efforts of our staff and partners in achieving the highest possible standards within an extremely competitive and demanding environment. The UK Forex Awards celebrate the best performing FX brokerages and companies in the global marketplace. The awards reward companies championing cutting-edge technology, low-cost trading, comprehensive market research tools, advanced educational programs, and world-class customer service. U.S stocks edged lower as oil drillers rallied with crude while industrial shares lagged behind. Treasuries fell as the Federal Reserve started its two-day policy meeting. U.S benchmarks were mixed, with automobile and utility shares weighing on indexes as consumer companies gained. Stocks dipped after President Donald Trump told the United Nations that the trade deficit with China “is just not acceptable,” speaking fears of greater trade tensions, before mostly recovering. Brent oil climbed to a four-year high as benchmark Treasury yields touched 3.1 percent. Riskier assets are drifting in the face of mounting political, trade and policy headwinds and investors look toward what could be a long and bruising conflict between the U.S and China following the Asian nation’s decision to call off planned talks after the latest round of tariffs. Investors are also looking forward to the Federal Reserve. The central bank’s policy meeting this week will likely see interest rates increased for the third time in 2018 and feature fresh projections for the next few years. The Dow Jones Industrial Average fell 0.26%. 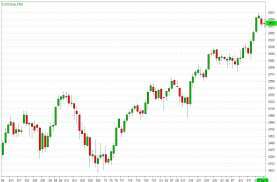 The best performers of the session on the Dow Jones Industrial Average were McDonald’s Corporation, which rose 1.90% or 3.10 points to trade at 166.41 at the close. Meanwhile, Walt Disney Company added 0.76% or 0.86 points to end at 113.63 and Apple Inc. was up 0.63% or 1.40 points to 222.19 in late trade. 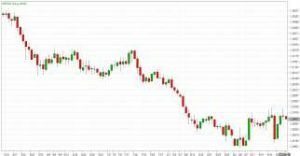 The worst performers of the session were Intel Corporation which fell 2.13% or 1.00 points to trade at 45.91 at the close. 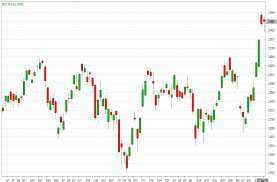 UnitedHealth Group Incorporated declined 1.44% or 3.85 points to end at 263.51 and Procter & Gamble Company was down 1.36% or 1.15 points to 83.12. The tech heavy NASDAQ index climbed 0.18%. The top performers on the NASDAQ Composite were Jaguar Health Inc. which rose 158.46% to 1.680, Optical Cable Corporation which was up 30.95% to settle at 5.500 and Oasmia Pharmaceutical AB which gained 29.53% to close at 4.650. The worst performers were SAExploration Holdings Inc. which was down 51.76% to 13.850 in late trade, TG Therapeutics Inc. which lost 44.32% to settle at 5.15 and FlexShopper Inc. which was down 37.10% to 1.170 at the close. Oil prices rose yesterday but eased off a four-year high after U.S President Donald Trump called on OPEC to increase crude output, even he as called for heavier sanctions on major oil producer Iran. Trump reiterated calls on the Organization of the Petroleum Exporting Countries to pump more oil and stop raising prices in a speech before the United Nations. The so-called “OPEC+” group, which includes the likes of Russia, Oman and Kazakhstan, had met at the weekend to discuss a possible increase in crude output, but the upshot of the gathering was that the group was in no rush to do so. OPEC secretary general, said in Madrid yesterday that it is important for OPEC and its partners to cooperate to ensure they do not “fall from one crisis to another.” Prior to Trump’s remarks, oil had headed higher, with Brent hitting $82.55 per barrel, its highest since Nov. 10, 2014, on concerns about global supply shortages in the wake of U.S sanctions on Iran’s oil exports, which go into effect Nov. 4. Gold edged higher yesterday as the dollar drifted ahead of a U.S Federal Reserve monetary policy meeting, but bullion’s upside remained capped by strong U.S economic data that continues to underpin the greenback. The U.S. dollar fell against a basket of currencies, with an expected Federal Reserve rate rise mostly priced in by traders, who will be looking for clues on the future pace of rate hikes from the central bank. Upside scenarios for gold are if the Fed sounds a bit more dovish, but there’s not a lot of room for that at the moment. U.S data hasn’t weakened and market positioning for rate hikes is not excessively hawkish compared to the Fed. In general, market dynamics are quite weak for gold. A strong dollar makes dollar-priced gold costlier for non-U.S investors, hile rising U.S interest rates typically deter investors from buying a non-yielding asset such as gold. Spot gold gained 0.2 percent at $1,200.60 per ounce. U.S gold futures for December delivery settled up 70 cents, or 0.1 percent, at $1,205.10 per ounce. The Fed is scheduled to complete its two-day policy meeting today. Gold has fallen around 12 percent since April, hit by rising U.S. interest rates and a global trade war that threatens growth and has led investors to choose the dollar as a safe haven rather than gold. A senior Chinese official said it was difficult to proceed with trade talks with the United States while Washington was putting “a knife to China’s neck”, a day after both sides heaped fresh tariffs on each other’s goods. In wider markets, European shares and Wall Street got a lift as oil’s rise boosted energy equities. Oil’s rise will fan inflation and growth concerns in many countries, and could in the long run benefit gold. Silver gained 1.6 percent at $14.45 an ounce, earlier reaching $14.56, its highest since Aug. 31. Spot palladium increased 0.3 percent at $1,062.20 per ounce after hitting $1,068.50, its highest since late January. 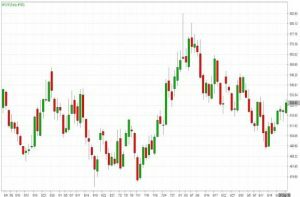 Soybean futures climbed to their highest prices in more than a month yesterday in a turnaround from recent declines that were driven by concerns about the U.S-China trade dispute hurting American exports. Corn and wheat pulled back after exceeding one-month highs on Monday. The market is pricing in a 100% chance of a quarter point interest rate hike by the Federal Reserve today, which would be the third round of tightening for the central bank this year. Normally rate hikes are positive for the currency but this month their guidance could send the dollar spiraling lower. The Federal Reserve has been the most aggressive central bank this year and many investors are wondering if they’ll give consumers a break before taking rates towards 3% in 2019. Based on the futures markets, which is discounting 75% chance of another 25bp hike in December, investors don’t expect the central bank to slow down. The stock market is at a record high, the labor market is strong and so far, the impact of trade tensions has been limited. However, we are beginning to see signs of weakness. Since the central bank last met, retail sales, inflation, housing and manufacturing activity slowed. So it would behoove the Fed to take a break before barreling ahead in 2019 especially with 10-year yields hovering near 1-year highs. Since rate hike is a done deal and we don’t expect any major changes to the Fed’s forecasts. If a change were to be made, it would most likely be in an upgrade. The median forecast should stay unchanged, signaling 3 more hikes in 2019. The main question will be the pace of tightening beyond September. If Fed Chair Powell suggests that its time to slow down, the dollar could descend quickly from its highs as it would cast doubt about the rate hike in December. However, if he is unambiguously hawkish the dollar will soar against all of the major currencies. In the event of a dovish hike, the best currencies to trade will be USD/JPY and EUR/USD. For USD/JPY 113 would become a double top as the pair heads back below 112. The euro is attractive because ECB President Draghi thinks inflation is on the rise. In the event of a hawkish hike, the best currencies to trade should be AUD/USD, USD/CAD and GBP/USD. The RBA has no plans to raise interest rates this year, sterling is still vulnerable to Brexit risks and it is becoming increasingly clear that Canada won’t be able to strike a trade deal with the U.S. before the September 30th deadline. The only risk for the USD/CAD trade is that President Trump plans to hold a press conference today. He’ll be talking about the “news of the day,” which could mean either the Canada-Mexico trade deal, Kavanaugh nomination, Rosenstein’s fate or all of the above. The single currency bears are holding tight, setting the common currency up for a potential short squeeze that could turbocharge a burgeoning rally. Euro gained as the Dollar weakened ahead of a Fed meeting that is widely expected to end with an interest rate hike, as investors already have priced in two more rate increases this year and some in 2019. 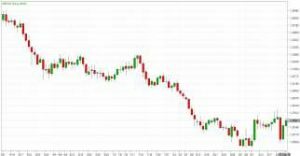 Overall, the EUR/USD traded with a low of 1.1729 and a high of 1.1791 before closing the day around 1.1765 in the New York session. The Japanese Yen continued sliding against the US dollar yesterday after the BOJ released its minutes for the previous meeting. The minutes showed that a few officials are concerned about the dangers of the ongoing ultra-easy policies. The bank has retained negative interest rates for years in a bid to increase activity in the country. Overall, the USD/JPY traded with a low of 112.72 and a high of 112.96 before closing the day around 112.95 in the U.S session. The British Pound continued to gain against the US dollar yesterday, although compared to Monday the latest pound US dollar exchange rate advance is smaller. This is a continuation of the relief rally that started yesterday when Brexit Secretary Dominic Raab spoke of continuing negotiations in good faith. There was limited US economic news out yesterday. 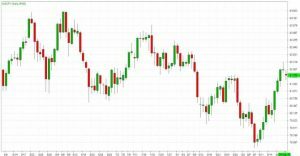 Overall, the GBP/USD traded with a low of 1.3093 and a high of 1.3191 before closing the day at 1.3180 in the New York session. 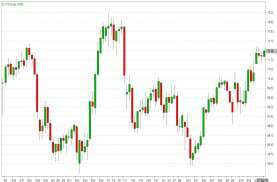 The Canadian Dollar edged higher yesterday as oil prices rose, but the currency traded in a narrow range amid slow progress on talks to renew the NAFTA trade deal ahead of a U.S.-imposed deadline of the end of September. Canadian Prime Minister Justin Trudeau took a cautious line over talks to update the North American Free Trade Agreement. Overall, USD/CAD traded with a low of 1.2933 and a high of 1.2970 before closing the day at 1.2951 in the New York session. 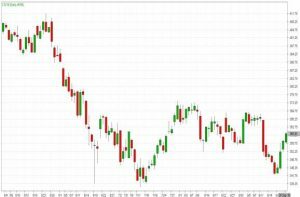 The Australian Dollar has been among the hardest hit by President Donald Trump’s so-called trade war against China, given that it’s underwritten by the nation’s commodity trade with the world’s second largest economy and often serves as a surrogate for speculators seeking to express bearish views about China’s own state-managed currency. Overall, AUD/USD traded with a low of 0.7234 and a high of 0.7261 before closing the day at 0.7247 in the New York session. EUR/JPY is trading above 14, 50 and 100 days moving average. Fast stochastic is giving a bullish tone and MACD is also issuing a bullish stance. The Relative Strength Index is above 70 and lies above the neutral zone. In general, the pair has gained 0.33%. Currently, GBP/JPY is trading above 14, 50 and 100 days moving average. Fast stochastic is issuing a bullish tone and MACD is also indicating a bullish stance. The Relative Strength Index is above 64 reading and lies above the neutral zone. On the whole, the pair has gained 0.65%. Currently, the cross is trading above 14 and below 50, 100 days moving average. Fast stochastic is giving a bullish tone and MACD is also indicating a bullish stance. The Relative Strength Index is above 60 reading and lies above the neutral region. In general, the pair has gained 0.12%. This cross is currently trading above 14, 50 and 100 days moving average. Fast stochastic is indicating a bullish tone and MACD is also issuing a bullish signal. The Relative Strength Index is above 50 and lies above the neutral region. On the whole, the pair has lost 0.33%. This cross is trading below 14, 50 and 100 days moving average. Fast stochastic is issuing a bullish stance and MACD is also indicating a bullish tone. The Relative Strength Index is above 51 and lies above the neutral region. In general, the pair has gained 0.54%. 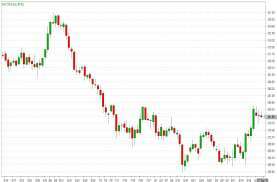 U.S stock index futures dropped yesterday as the latest round of Sino-U.S tariffs kicked in, with neither showing signs of backing down from a protracted trade war. The markets could be volatile and trading volumes higher as the S&P 500 sector shuffle takes effect, with the telecoms being folded into a new communications services index that will now include heavy-hitting technology stocks such as Facebook Inc., Twitter, and Alphabet. Shares of the three companies fell between 0.5 and 1 percent in premarket trading, also on renewed fears of higher regulation after a report that the White House has drafted a preliminary order to direct federal agencies to probe the business practices of social media and internet firms. U.S tariffs on some $200 billion worth of Chinese goods took effect on Monday, along with Beijing’s retaliatory duties on $60 billion worth of U.S products, which pressured trade-sensitive stocks. Boeing, the biggest U.S exporter to China, dropped 0.5 percent and Caterpillar 0.3 percent, leading the losers on the Dow Industrials before the bell. The Dow Jones Industrial Average declined 0.68%. 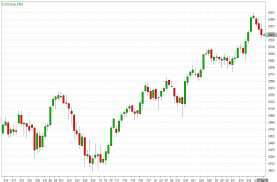 The best performers of the session on the Dow Jones Industrial Average were Walt Disney Company, which rose 2.15% or 2.37 points to trade at 112.77 at the close. Meanwhile, Exxon Mobil Corp added 1.68% or 1.43 points to end at 86.60 and Apple Inc. was up 1.44% or 3.13 points to 220.79 in late trade. The worst performers of the session were Dow DuPont Inc., which fell 2.14% or 1.49 points to trade at 68.20 at the close. Home Depot Inc. declined 2.07% or 4.40 points to end at 207.99 and Procter & Gamble Company was down 1.81% or 1.55 points to 84.27. The tech heavy NASDAQ index climbed 0.08%. The top performers on the NASDAQ Composite were Amarin Corporation PLC which rose 314.72% to 12.400, SAExploration Holdings Inc. which was up 284.34% to settle at 28.710 and TMSR Holding Company Ltd which gained 65.00% to close at 3.30. The worst performers were Altimmune Inc. which was down 46.93% to 13.900 in late trade, Astrotech Corp which lost 40.43% to settle at 3.330 and Cool Holdings Inc. which was down 36.37% to 12.090 at the close. Oil prices jumped more than 2 percent to a four-year high yesterday after OPEC declined to announce an immediate increase in production despite calls by U.S President Donald Trump for action to raise global supply. U.S light crude was $1.25 higher at $72.03. This is the oil market’s response to the OPEC+ group’s refusal to step up its oil production. OPEC leader Saudi Arabia and its biggest oil-producer ally outside the group, Russia, on Sunday ruled out any immediate extra increase in output, effectively rebuffing a call by Trump for action to cool the market. Trump said last week that OPEC “must get prices down now!” but Iranian Oil Minister Bijan Zanganeh said yesterday OPEC had not responded positively to Trump’s demands. J.P. Morgan said U.S. sanctions on Iran could lead to a loss of 1.5 million bpd, while Mercuria warned that as much as 2 million bpd could be knocked out of the market. U.S commercial crude oil inventories are at their lowest since early 2015. Gold edged higher yesterday after the dollar dropped following remarks by the head of the European Central Bank, although activity was muted ahead of a U.S central bank meeting this week. Spot gold was up 0.3 percent at $1,202.59 an ounce, after declining as much as 1.3 percent on Friday. U.S. gold futures gained 0.5 percent to $1,207 an ounce. Liquidity was thin during Asian trading hours on Monday as markets in Japan and China were closed for a holiday. The dollar index fell after comments by ECB President Mario Draghi on wage growth and vigorous inflation lifted the euro. Investors remain constructive on gold after we’ve seen it consolidate for the past month. The risk to the dollar is some additional weakness, but at this stage we, have to maintain a neutral stance. Gold needed to break above $1,212 to make further progress on the upside. Investors are awaiting details from the two-day Federal Reserve meeting concluding on Wednesday, when the U.S. central bank is widely expected to raise benchmark interest rates and shed light on the path for future rate hikes. The question is what kind of wording is going to accompany that hike. Based on that, gold is unlikely to make much of a move ahead of that meeting. Gold has fallen more than 12 percent since a peak in April against a backdrop of trade disputes and as rising U.S. interest rates diminish demand for non-interest bearing bullion. The United States and China imposed fresh tariffs on each other’s goods on Monday as the world’s biggest economies showed no signs of backing down from a trade dispute that is expected to knock global economic growth. Meanwhile, speculators increased their net short position in COMEX gold contracts in the week to Sept. 18, U.S. data showed on Friday. The price would rise noticeably if sentiment were to turn and short positions were to be covered. 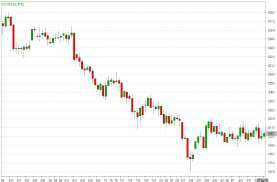 This may happen following the Fed rate hike expected on Wednesday, as gold has often gained following a Fed rate hike in the past. Spot silver rose 0.2 percent to $14.28 an ounce. 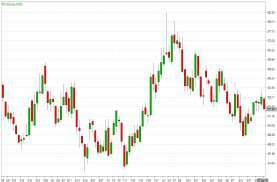 Corn and wheat futures jumped yesterday to their highest levels in over a month amid technical buying as well as concerns about rain stalling the country’s autumn harvests. 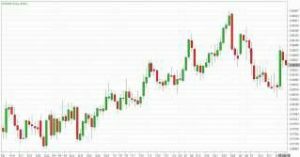 The U.S Dollar ended the day higher against some currencies and lower versus others but during the NY session investors spent most of their time buying U.S Dollars. The greenback hit low of 1.1815 versus the Euro shortly after equities opened but ended up settling the day near 1.1750. A similar reversal can be seen in sterling while USD/JPY and USD/CHF bounced off their lows to end the day at their highs. However, the prospect of a Federal Reserve rate hike this week could be helping the dollar. The Federal Reserve is widely expected to raise interest rates but it could be a dovish or hawkish hike. The outcome could have a lasting impact on all of the major currencies. At the same time, however, since U.S stocks hit record highs this quarter, portfolio rebalancing will be negative for the dollar. We may have already seen some of those transactions happen earlier this month but we cannot preclude the possibility of additional adjustments this week. The Reserve Bank also has a monetary policy announcement and as usual, the RBNZ’s outlook could have a significant impact on NZD. Canada-U.S trade talks will be in focus as the next major NAFTA deadline looms. The U.S wanted a deal closed by September 30th to abide by the fast track law that requires the agreement to be publicly available for 60 days before it is signed. September 30th is important because Mexico’s president steps down on December 1st and President Trump wants the deal signed with the outgoing and not incoming President. Draghi sent EUR/USD soaring above 1.18 when he said there’s a relatively vigorous pickup in underlying inflation. Although the pair receded from its highs on the back of U.S Dollar strength, the euro should outperform other major currencies on the back of the ECB’s brighter inflation outlook and stronger data. Despite ongoing trade tensions, German business confidence improved in the month of September, reinforcing the increase in investor sentiment reported earlier this month. German CPI is due for release later this week and given Draghi’s comments, the risk is to the upside for this report. Sterling, on the other hand, declined for legitimate reasons. Not only did the CBI’s industrial trends survey turn negative in September but Brexit negotiations are getting harder. There was talk that a deal could still be reached by November but there was no material progress. Instead, both UK Brexit Secretary Raab and Prime Minister May said they are going to hold their nerve today, which suggests that they are not going to bend easily to the EU’s demands. The single currency gained yesterday as Eurozone bond yields rose, with Germany’s 10-year Bund yield hitting its highest since mid-June, with analysts citing European Central Bank President Mario Draghi’s comments on wage growth and vigorous inflation. Germany’s 10-year yield rose to 0.51 percent, up more than 5 basis points. 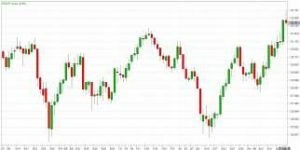 Overall, the EUR/USD traded with a low of 1.1722 and a high of 1.1813 before closing the day around 1.1746 in the New York session. The Japanese Yen weakened against all major currencies yesterday except the Australian dollar and the Canadian dollar. Last week, the yen continued to weaken against the US dollar. Trading volumes in Japanese yen futures decelerated week-over-week, albeit to a fairly small degree. Looking at this week’s economic calendar, there is a range of upcoming figures. Overall, the USD/JPY traded with a low of 112.43 and a high of 112.82 before closing the day around 112.78 in the U.S session. 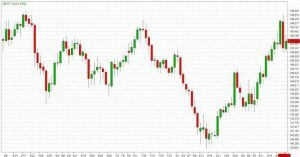 The British Pound edged higher against the U.S Dollar yesterday but remains in a precarious position following on from the beating it took at the end of last week’s session. The pound US Dollar exchange rate nosedived over two cents on Friday, suffering its largest single day losses so far this year following a breakdown in Brexit negotiations. 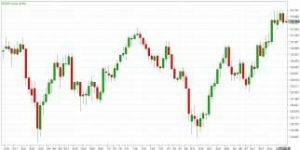 Overall, the GBP/USD traded with a low of 1.3061 and a high of 1.3165 before closing the day at 1.3116 in the New York session. 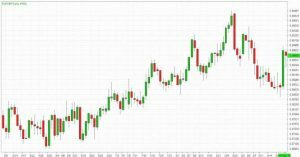 The Canadian Dollar was little changed as oil prices rose and the greenback fell broadly, while domestic data showed a stronger-than-expected increase in wholesale trade. Canadian wholesale trade rose 1.5 per cent in July from June, a bigger increase than the 0.5 per cent gain expected by analysts, data from Statistics Canada showed. 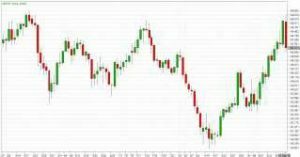 Overall, USD/CAD traded with a low of 1.2906 and a high of 1.2953 before closing the day at 1.2952 in the New York session. 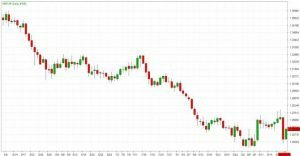 The Australian Dollar sold off against all major currencies. Last week, the currency moved up sharply against the US dollar. Notably, trading volumes in Australian dollar decelerated last week. This is a sign that traders did not buy last week’s rebound. 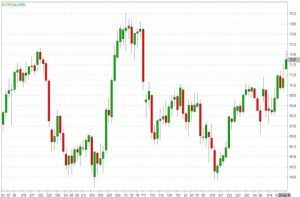 There were no significant domestic developments yesterday instead the Australian dollar is tracking developments across financial markets. 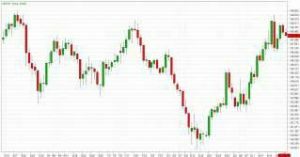 Overall, AUD/USD traded with a low of 0.7250 and a high of 0.7279 before closing the day at 0.7257 in the New York session. EUR/JPY is trading above 14, 50 and 100 days moving average. Fast stochastic is giving a bearish tone and MACD is issuing a bullish stance. The Relative Strength Index is above 67 and lies above the neutral zone. In general, the pair has gained 0.13%. Currently, GBP/JPY is trading above 14, 50 and below 100 days moving average. Fast stochastic is issuing a bullish tone and MACD is also indicating a bullish stance. The Relative Strength Index is above 61 reading and lies above the neutral zone. On the whole, the pair has gained 0.45%. Currently, the cross is trading above 14 and below 50, 100 days moving average. Fast stochastic is giving a bullish tone and MACD is also indicating a bullish stance. The Relative Strength Index is above 58 reading and lies above the neutral region. In general, the pair has lost 0.28%. This cross is currently trading above 14, 50 and 100 days moving average. Fast stochastic is indicating a bullish tone and MACD is also issuing a bullish signal. The Relative Strength Index is above 54 and lies above the neutral region. On the whole, the pair has lost 0.31%. This cross is trading below 14, 50 and 100 days moving average. Fast stochastic is issuing a bullish stance and MACD is indicating a bearish tone. The Relative Strength Index is above 46 and lies below the neutral region. In general, the pair has gained 0.96%. The S&P 500 and Dow reached record highs on Friday ahead of today’s major sector reshuffle, capping a week that largely shrugged off trade worries. 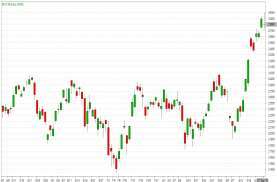 Trading volume was expected to spike in anticipation of the S&P 500 sector change, when telecom will be folded into a new sector called communications services, along with heavy-hitting stocks such as Amazon.com, Facebook Inc. and Walt Disney Co. The S&P 500 and the Dow were up, with the tech-heavy NASDAQ losing ground. 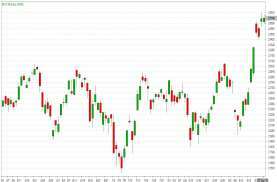 All three were on track to post their second consecutive weekly gains, with the blue-chip Dow on its way to its best weekly percentage gain in over two months. There could be a late spike in volume because of all these index changes occurring. Boeing Co, United States’ biggest exporter to China, led trade-sensitive industrials higher. The sector headed up gains by the S&P 500 and the Dow. The Dow Jones Industrial Average rose 78.46 points, or 0.29 percent, the S&P 500 gained 3.04 points, or 0.10 percent and the NASDAQ dropped 18.66 points, or 0.23 percent. The Dow Jones Industrial Average added 0.32% to hit a new all-time high. 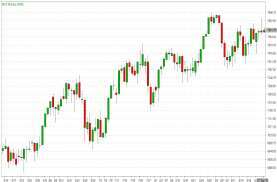 The best performers of the session on the Dow Jones Industrial Average were McDonald’s Corporation, which rose 2.80% or 4.51 points to trade at 165.30 at the close. Meanwhile, Cisco Systems Inc. added 1.74% or 0.83 points to end at 48.56 and Chevron Corp was up 1.43% or 1.71 points to 121.13 in late trade. 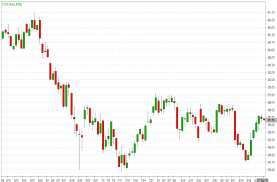 The worst performers of the session were Intel Corporation, which fell 1.14% or 0.54 points to trade at 46.66 at the close. Walt Disney Company declined 1.09% or 1.22 points to end at 110.40 and Apple Inc. was down 1.08% or 2.37 points to 217.66. The tech-heavy NASDAQ index declined 0.51%. The top performers on the NASDAQ Composite were Cool Holdings Inc. which rose 80.95% to 19.000, Astrotech Corp which was up 71.47% to settle at 5.590 and Netlist Inc. which gained 49.12% to close at 0.650. The worst performers were GTX Inc. which was down 92.27% to 1.8000 in late trade, Titan Pharmaceuticals Inc. which lost 56.67% to settle at 0.2167 and Bio Path Holdings Inc. which was down 36.46% to 0.610 at the close. A steady rise in U.S oil output will gather pace in the next five years, OPEC said on Sunday, predicting that demand for the producer group’s crude will decline despite a growing appetite for energy fed by global economic expansion. “Declining demand for OPEC crude is a result of strong non-OPEC supply in the 2017–2023 period, most notably from U.S. tight oil,” the Organization of the Petroleum Exporting Countries said in its long-term world oil outlook. The United States has pushed oil output to record levels in recent years on the back of a shale revolution that allowed new technology to unlock reserves previously seen as uneconomic. U.S sanctions on OPEC members Venezuela and Iran have helped pushed oil prices to their highest since 2014 at around $80 a barrel, also spurring U.S producers to ramp up output. However, high gasoline prices for U.S consumers could create a political headache for President Donald Trump, who on Thursday called again on OPEC to boost supply. Gold prices fell more than 1 percent on Friday as the dollar firmed against the British sterling and the euro after British Prime Minister Theresa May said the European Union must supply an alternative Brexit proposal. China’s moves to boost domestic consumption also helped bolster the dollar rally driven by investor bets that the latest U.S.-China trade salvoes were unlikely to dent global growth. The dollar’s status as the chief reserve currency makes it the prime beneficiary of U.S.-China trade conflict, with the United States seen as having less to lose. A big selloff in the pound and euro sent the dollar sharply higher. And gold, being dollar-denominated, fell as a result of that. A stronger greenback makes dollar-denominated gold more expensive for holders of other currencies. Spot gold lost 0.8 percent at $1,196.86 per ounce. During the session it touched its lowest since Sept 11 at $1,191.51. However, gold headed for a 0.4 percent weekly increase. U.S gold futures for December delivery settled down $10, or 0.8 percent, at $1,201.30 per ounce. The euro and the pound fell after British Prime Minister Theresa May said the European Union must come up with an alternative to her Brexit proposals, saying talks had reached an impasse after the bloc’s leaders rejected her plans without explaining why. Investors await next week’s Federal Reserve meeting, where the U.S central bank is widely expected to raise benchmark interest rates. Higher U.S. interest rates tend to make gold less attractive since it does not pay interest and costs money to store and insure. In other precious metals, spot silver rose 0.1 percent at $14.29 an ounce, after rising to two-week highs of $14.43. The factors driving silver are much more industrial-related. Silver closed the week up about 2 percent. Platinum fell 0.4 percent at $828.70 after hitting its highest since Aug. 9 at $838.40. Corn futures climbed more than one per cent on Friday to their highest in more than a week, buoyed by end-user demand and fund short-covering. Wheat and soybean futures declined but still recorded weekly advances. Corn rose for a third straight session with analysts citing a mix of technical and fundamental factors. Judging from the recent performance of USD/JPY, investors are preparing for a dovish hike. The market is pricing in 100% chance of a quarter point rate increase on September 26 and a 75% chance of tightening on December 19th but we think the risk of disappointment is greater than that. After 3 rounds of tightening, it would behoove the Fed to take a break especially given the President’s criticism, trade war uncertainty, and mixed data. Since July, there’s been the weakness in retail sales, inflation, housing, and manufacturing activity. However with strong corporate earnings, record highs in stocks and continued labor market strength, if the Fed wanted to raise interest rates again, the arguments are there. As a result, we expect the dollar to consolidate with a mild bias to the downside before the FOMC rate decision. There are a handful of other economic reports scheduled for releases such as consumer confidence, personal income, and personal spending but they will be overshadowed by FOMC flows. USD/JPY, in particular, is vulnerable to a correction back to 111.50. In one day, Sterling lost all of the gains that it had built up during the week and this shows just how sensitive the currency is to Brexit news. At the start of the month, it appeared that a deal was close but the talks broke down when Prime Minister May said they were at an impasse this week. She said they are far apart on two big issues and the UK expects respect from the EU rather than an outright refusal to accept their proposal. The biggest hangups are their post-Brexit economic relationship and the Irish border. May sees no deal as better than a bad deal, which is bad news for sterling especially as her own Eurosceptic MPs want her to abandon her Chequers plan. Stronger than expected retail sales and consumer price growth were completely forgotten as investors focused on renewed Brexit uncertainty. With no major UK economic reports on the calendar in this week, we expect further weakness in sterling. Softer than expected Eurozone PMIs drove the euro lower. Although service sector activity strengthened, growth in the manufacturing sector is slowing and we think it will affect today’s IFO report. EUR/USD hit a 2 month high this week but it is vulnerable to a correction down to 1.1650. The Swiss Franc rose to a 5 month high despite the Swiss National Bank’s growing concern about the currency. Diversification out of European currencies into the franc is the only reason that we see for the currency’s strength. All 3 commodity currencies ended the day unchanged after strong gains this week. The single currency gains in the last week were largely driven by signs that the Italian government will fall in line with the European Union’s budgetary restraints. A surprising amount of negativity at the Brexit Salzburg summit this week knocked the British Pound lower, and dragged the Euro down alongside with it. 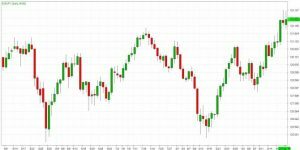 Overall, the EUR/USD traded with a low of 1.1731 and a high of 1.1801 before closing the day around 1.1751 in the New York session. The Japanese Yen was once again the worst performing currency last week, but USD/JPY only gained +0.47% percent in the process. The ongoing improvement in risk appetite across the board is helping keep the Yen down. 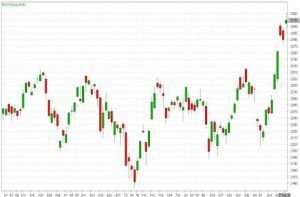 In an environment where stocks rally, particularly in Japan and the US, the Yen should remain generally weak. Overall, the USD/JPY traded with a low of 112.41 and a high of 112.85 before closing the day around 112.56 in the U.S session. 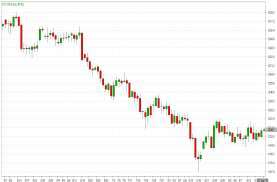 The British Pound plummeted on Friday as Theresa May admitted that the Brexit talks have reached an “impasse” and criticized the EU for its “unacceptable” rejection of her own plan in Salzburg last week. The currency dipped to $1.3092 as the Prime Minister delivered a special statement in Downing Street, down 1.3 per cent on the day. 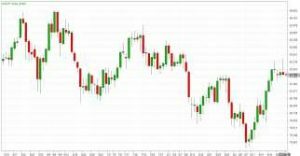 Overall, the GBP/USD traded with a low of 1.3052 and a high of 1.3274 before closing the day at 1.3081 in the New York session. The Canadian Dollar ended the session little changed against the greenback on Friday, holding near its highest in more than three months as data showing a pickup in underlying inflation boosted bets for a Bank of Canada interest rate hike next month. Canada’s annual inflation rate dipped to 2.8 per cent in August from 3.0 per cent in July. 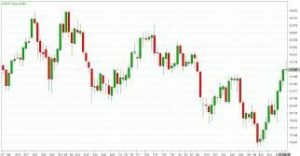 Overall, USD/CAD traded with a low of 1.2883 and a high of 1.2940 before closing the day at 1.2914 in the New York session. The Australian Dollar has risen to three-week highs against its big US brother. This is perhaps surprising in an environment of terrible trade relations between Washington and Beijing. Australia has after all vast economic, political and/or security ties with both nations and can sometimes seem unfortunately sandwiched between the two. Rising tensions there don’t promise Australia any good. 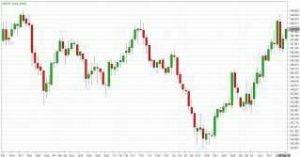 Overall, AUD/USD traded with a low of 0.7289 and a high of 0.7302 before closing the day at 0.7284 in the New York session. EUR/JPY is trading above 14, 50 and 100 days moving average. Fast stochastic is giving a bearish tone and MACD is issuing a bullish stance. The Relative Strength Index is above 62 and lies above the neutral zone. In general, the pair has lost 0.13%. Currently, GBP/JPY is trading above 14, 50 and below 100 days moving average. Fast stochastic is issuing a bullish tone and MACD is also indicating a bullish stance. The Relative Strength Index is above 66 reading and lies above the neutral zone. On the whole, the pair has lost 1.32%. Currently, the cross is trading above 14 and below 50, 100 days moving average. Fast stochastic is giving a bullish tone and MACD is also indicating a bullish stance. The Relative Strength Index is above 57 reading and lies above the neutral region. In general, the pair has gained 0.01%. This cross is currently trading above 14, 50 and 100 days moving average. Fast stochastic is indicating a bearish tone and MACD is also issuing a bearish signal. The Relative Strength Index is above 42 and lies below the neutral region. On the whole, the pair has gained 1.20%. This cross is trading below 14, 50 and 100 days moving average. Fast stochastic is issuing a bullish stance and MACD is also indicating a bullish tone. The Relative Strength Index is above 54 and lies above the neutral region. In general, the pair has lost 1.51%. U.S stocks closed mostly higher yesterday as investors took escalating trade tensions in stride to instead focus on improving economic fundamentals even as a weak technology sector hobbled the NASDAQ. 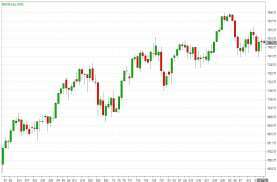 The Dow Jones Industrial Average gained 158.80 points, or 0.6%, leaving it less than 1% from its all-time closing high. 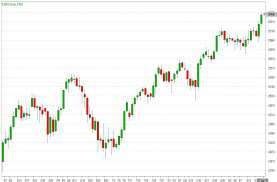 It has been 163 trading days since the Dow’s last record, its longest such stretch since a period of 288 days that occurred between May 2015 and July 2016, according to the Dow Jones Data Group. 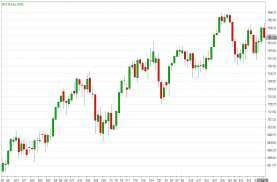 The S&P 500 added 3.64 points, or 0.1%, within 0.3% of its record. Financials were the best-performing stocks, rallying 1.8% as the 10-year Treasury yield rose to 3.081%, its highest since May 17. The NASDAQ bucked the trend to fall 6.07 points. Trading on Wall Street has been relatively subdued now that earnings season is largely over and there have been few major economic indicators released this week. That has left an opening for markets to be driven by the latest developments on trade. The Dow Jones Industrial Average gained 0.61% to hit new 6-months high. The best performers of the session on the Dow Jones Industrial Average were Goldman Sachs Group Inc., which rose 2.92% or 6.69 points to trade at 235.58 at the close. Meanwhile, JPMorgan Chase & Co added 2.90% or 3.32 points to end at 117.62 and Caterpillar Inc. was up 2.48% or 3.69 points to 152.76 in late trade. 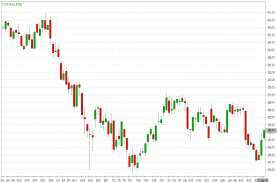 The worst performers of the session were Verizon Communications Inc., which fell 1.64% or 0.89 points to trade at 53.50 at the close. Microsoft Corporation declined 1.33% or 1.51 points to end at 111.70 and Nike Inc was down 0.97% or 0.83 points to 84.43. The tech-heavy NASDAQ index declined 0.08% yesterday. The top performers on the NASDAQ Composite were Altimmune Inc. which rose 285.48% to 16.460, New Age Beverages Corp which was up 54.96% to settle at 4.37 and Molecular Templates Inc. which gained 52.44% to close at 6.2500. The worst performers were Realm Therapeutics PLC ADR which was down 21.88% to 5.00 in late trade, Vital Thera which lost 22.90% to settle at 0.33 and Ameri Holdings Inc. which was down 18.08% to 1.45 at the close. U.S oil futures rose to a more than two-month high yesterday, bolstered by a fifth weekly crude inventory drawdown and strong domestic gasoline demand, amid ongoing supply concerns over U.S sanctions on Iran that come into force in November. Crude inventories fell 2.1 million barrels in the week to Sept. 14 to 394.1 million barrels, the lowest level since February 2015 EIA data showed. Analysts had forecast a decrease of 2.7 million barrels. U.S crude futures ended yesterday’s session up $1.27, or 1.8 percent, at $71.12, its best closing price since early July. The rise came after the U.S Energy Information Administration said crude and gasoline stockpiles fell last week. Crude inventories fell 2.1 million barrels last week to 394.1 million barrels, the lowest level since February 2015, EIA data showed. Gasoline stocks fell 1.7 million barrels versus forecasts for a 100,000-barrel drop. Gasoline consumption usually picks up in the summer. Gold prices held steady today, after rising in the previous session, as the dollar softened amid easing Sino-U.S. trade tensions and investors wait on direction from next week’s U.S Federal Reserve meeting. Spot gold was little changed at $1,203.86, after rising 0.5 percent in the previous session. U.S. gold futures were up 0.1 percent at $1,209 an ounce. Investors are awaiting next week’s Federal Reserve meeting. The U.S. central bank is widely expected to raise benchmark interest rates and shed light on the path for future rate hikes. Higher rates dent demand for non-interest yielding gold and in turn boost the dollar in which it is priced. The dollar index was hovering near a seven-week low against a basket of major currencies. China said on Wednesday it will not stoop to the competitive devaluation of its currency, hours after it hit back with a softer punch than the one landed by the United States in their escalating tariff dispute. On Tuesday, Beijing added $60 billion of U.S. products to its import tariff list in retaliation for President Donald Trump’s planned levies on $200 billion worth of Chinese goods. The tariffs, however, were seen to be at lower levels than some had feared, easing some concerns after the months-long trade battle between the world’s leading economies threatened to dim global growth prospects. Investors have been buying the dollar in the belief the United States has less to lose from the dispute. But a spot of weakness in the dollar indicated that worries over trade tensions have eased. U.S homebuilding increased more than expected in August, a positive sign for the housing market which has underperformed the broader economy amid rising interest rates for home loans. India should not tamper with its gold import duty or impose other restrictions to support the rupee, the World Gold Council said on Wednesday, as the government considers ways to cut “non-necessary” imports to stem an outflow of dollars. 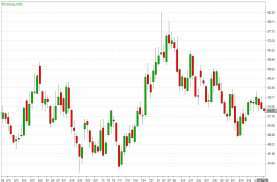 Soybean futures rose roughly two percent yesterday, rebounding a day after the most active contract fell to a 10-year low as the harvest of a likely record-large U.S crop got underway. 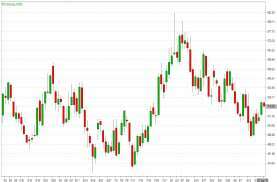 Wheat futures climbed on technical buying and tightening global supplies.